Filmed in the City of Rocks State Park in New Mexico The Tall Texan starred Lloyd Bridges, Lee J. Cobb, and Marie Windsor in a pretty ordinary story of greed for gold and Indians getting in the way. I realize that the film wanted a female co-star but Windsor seemed terribly out of place in this film. The on location shooting, a $100,000 budget, and the score from Bert Shefter were all positive things for Lippert who has had his share of bombs over the years. Films such as Motor Patrol, Radar Secret Service, and Square Dance Jubilee were not films that people knocked the doors down to go and see. Having said that he did do Quatermass Experiment and had his hand in the original Fly movie both good films. Shefter approached the film in the traditional motif fashion using the traditional melody “Blow the Man Down” for Capt. Bess (Cobb) and “Yankee Doodle Dandy” for Josh (Adler). The Indian themes are exactly what you would expect to hear complete with the tom tom drums, the trilling clarinets, and brass statements of a proud and majestic people you’ve heard before. The “Main Title” which is featured throughout the score is a really good one that you’ll not want to miss. 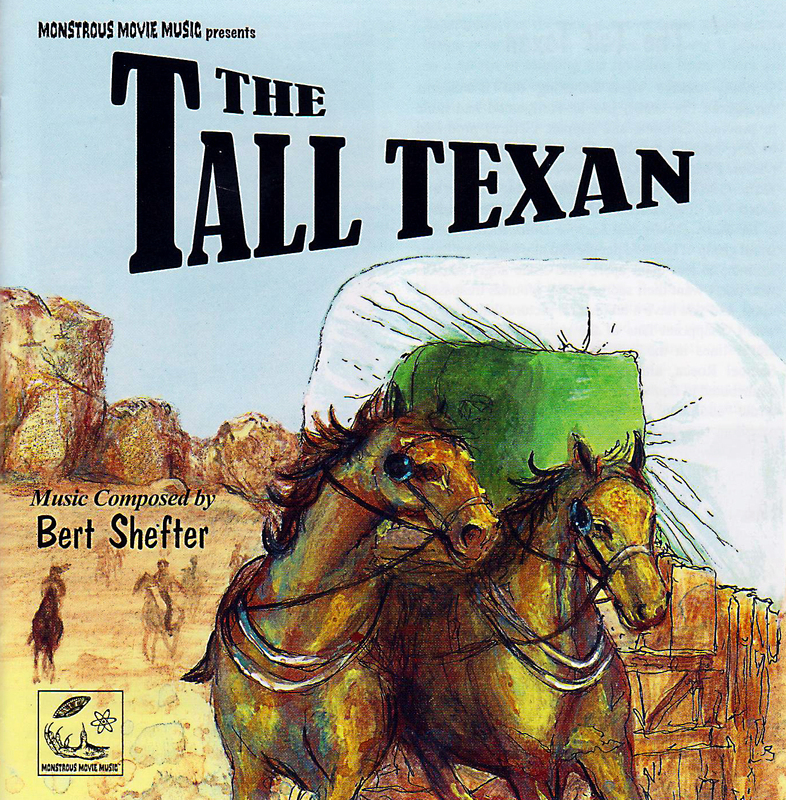 I’m including it as an audio clip Track 1 It begins with Copland sounding horns and segues into a melody that ranks right up with the classic western themes. The major strings are complemented by the brass which shares the melody. If you want to listen to a romantic version of the main title you’ll find it in the track “Laura and Ben,” which features a nice solo violin and trumpet. Might just bring a tear to your eye… If there is a drawback it’s that it isn’t in stereo but mono albeit a nice clean recording. In fact as I listened to it I noticed nothing that would draw your attention away from the music. “Gunfight” is an effective cue that combines the Copland sound of the main melody with harmony being provided as Indian music consisting of trilling and tom tom phrases. Throughout your listening you’ll find that Shefter will make references to “Blow the Man Down,” and “Yankee Doodle Dandy” making it fun at least for me to listen for them as they will crop up when you least expect it. I didn’t count the number of times but there are several. “Tinnen Gets It” has a couple of bars with the slide effect which I didn’t hear in the film but are very effective in the CD. I mention this because so many times you’ll just dissonant material which is not easy to listen to on the years, not the case with Shefter. All of his orchestration seems to make sense as he uses the entire ensemble across the board. The highlight of the album is a faded color photo of Cindy Williams (Elmo’s niece) and Jeff Bridges (Lloyd was his dad)!!! Liner notes are excellent as is usually the case with MMM releases along as well as the mastering by Ray Fiaola who did some pretty great work for Screen Archives/BYU over the years. This is one that I heartily recommend for your collect but always remember with MMM releases that they are limited edition and will sell out eventually so act sooner rather than later so you won’t be disappointed. It shows that Schecter isn’t just about sci- fi horror music anymore. Because of my interest in stamps something that I’ve been experimenting around with are cachet of the film along with cancellations that are appropriate to the picture, in this case where it was filmed. 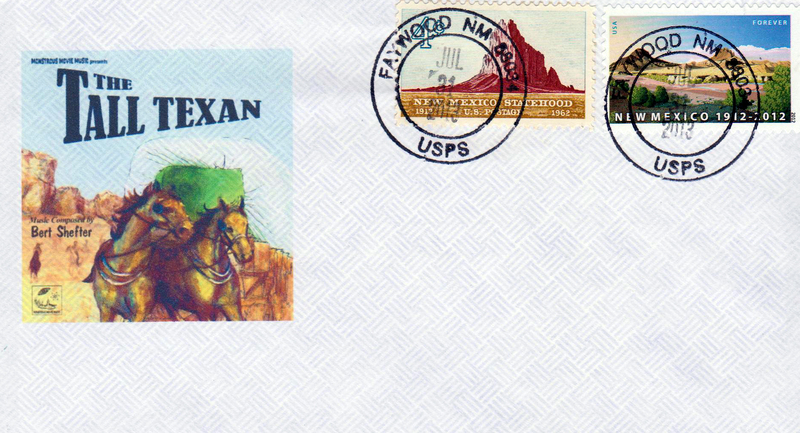 Faywood NM is close in proximity to the “City of Rocks” park and the two New Mexico stamps depict the feel of where it was filmed. have read stuff from. Many thanks for posting when you’ve got the opportunity, Guess I will just bookmark this site.